To fully enjoy your candle and keep its aesthetic intact, there is a burning ritual to carry out. 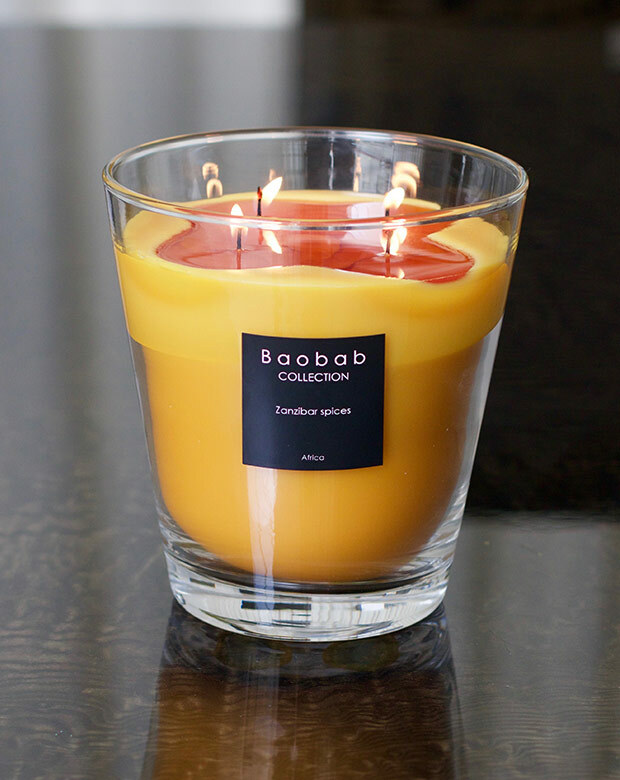 In order to guarantee optimal use, Baobab Collection recommends that you follow the safety instructions and always keep your candle under surveillance. Trim the wicks regularly. They should not exceed 0,5cm (1/4 inch). NEVER exceed one hour of burning once the whole surface is liquid. A metal candle that burns for too long may overheat and result in a candle fire ! NEVER burn the last 1cm (1/2 inch) of wax to avoid flames burning against the glass. A flame burning against the glass may cause the glass to break ! Before the wax becomes totally solid, reposition the wicks vertically to their initial place. 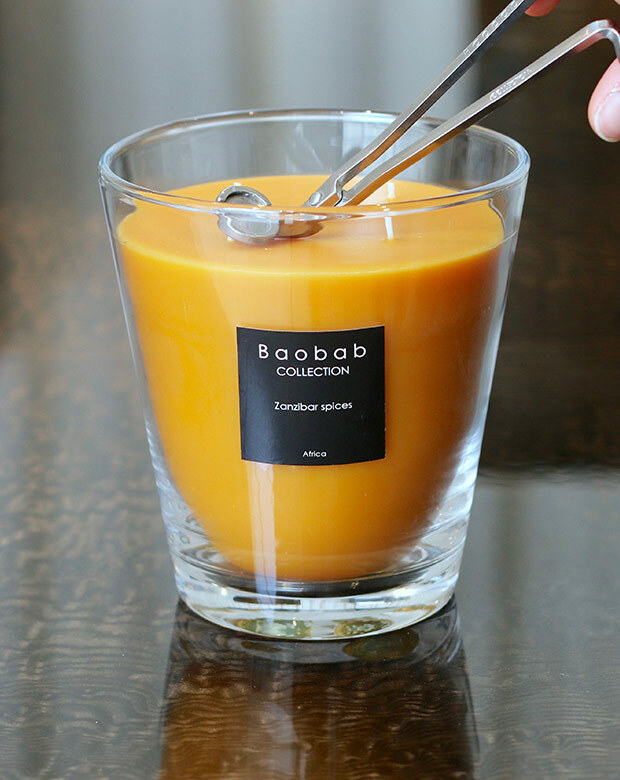 Regularly clean the inside of the candle to avoid the appearance of soot. Important. Not following the safety instructions may result in a fire or physical harm. Download the safety instructions PDF here. Keep away from things flammable. Place candles on a heat restistant surface. 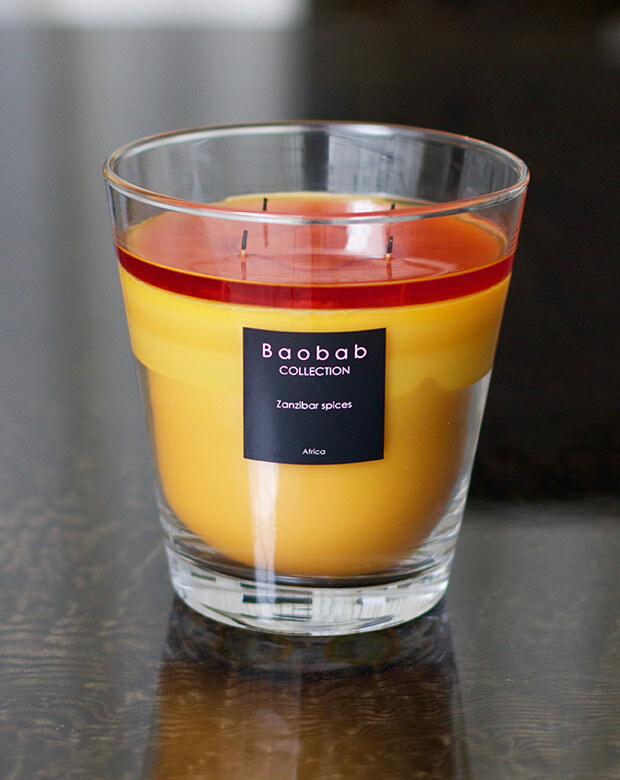 To reduce sooting, you should trim the wick to 0,5cm (1⁄4 inch) each time the candle is to be relit. Keep the wax pool free of wick trimmings, matches and debris at all times. Extinguish the candle if: it lets out smoke, flickers repeatedly, the flame becomes too high or when there is only 1cm (1/2 inch) of wax left.